Last week while driving to work, I pulled up next to a car with a familiar logo. 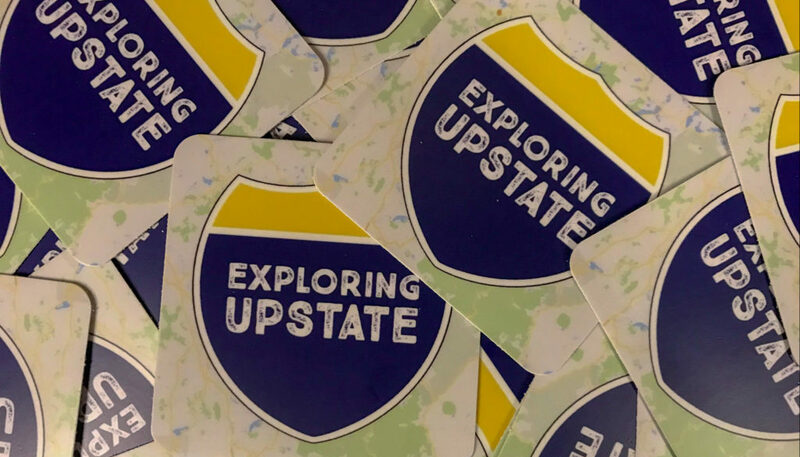 Amidst a bunch of other decals, there was an Exploring Upstate sticker! I had made a few last year and a couple friends wanted one, but I had never seen one in the wild. 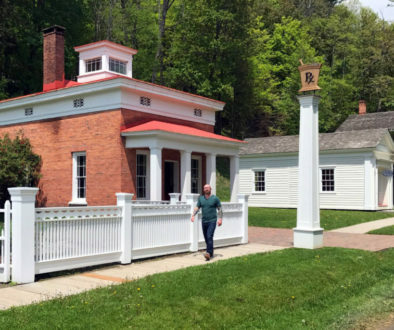 I mentioned the experience on Twitter, and a few people jumped in to say they wanted one, too. 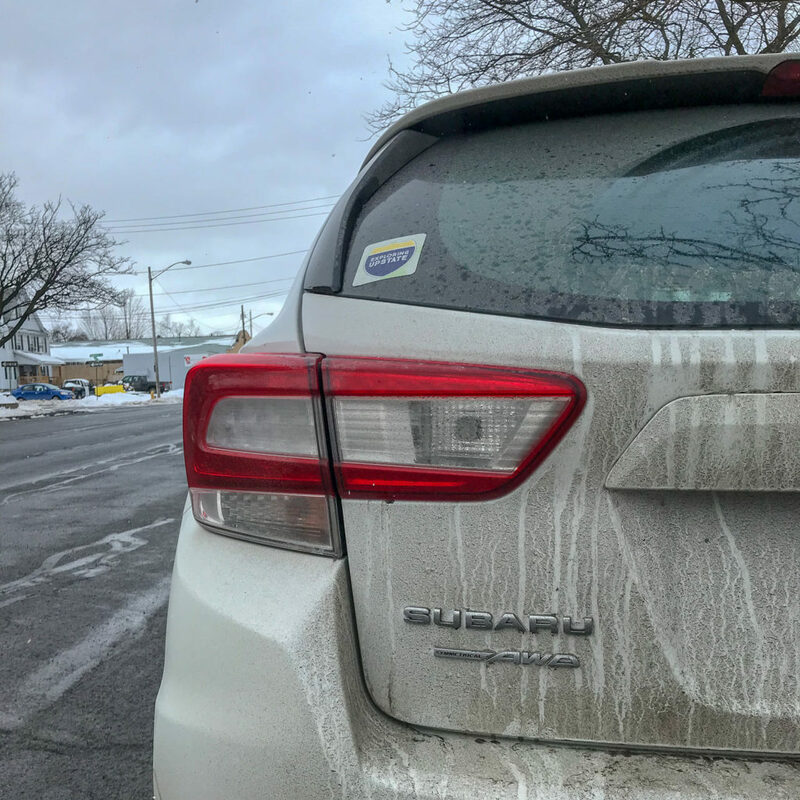 Imagine my surprise while driving this morning and I roll up next to a car wearing an @ExplrUpstate sticker. That felt good! So, I re-ordered and stocked up. 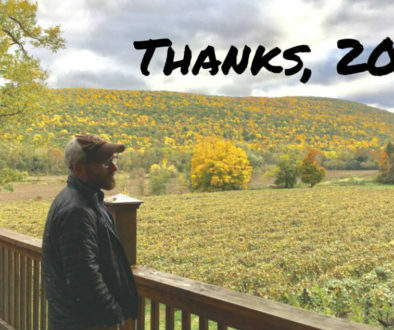 It’s been exciting to find so many people over the years that love the same things I do about Upstate New York. I find it really humbling to get feedback from all over the state when people say they appreciate the stories here. As long as there’s time, energy, and a few bucks for the gas tank, they’ll continue to roll out. 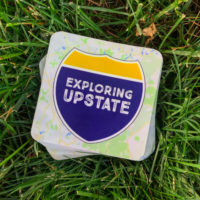 If you’d like to support the mission of this blog and show others your Upstate New York pride, I figured a sticker was a cool way to do it. 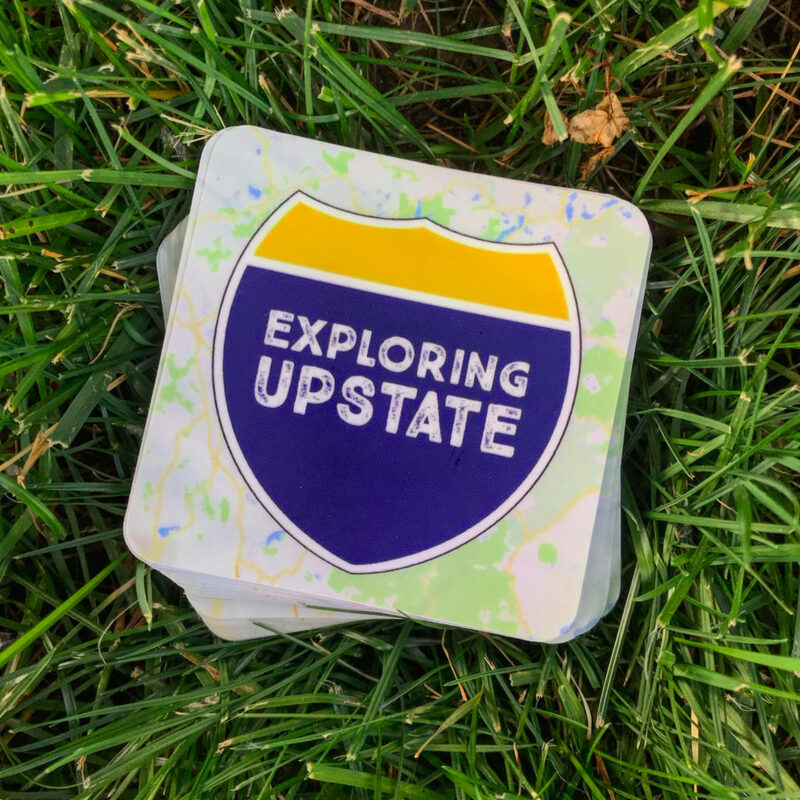 Your financial support helps pay for website hosting, software, and everything else that costs money to make Exploring Upstate a reality. These are vinyl logo decals and measure 3 inches by 3 inches. 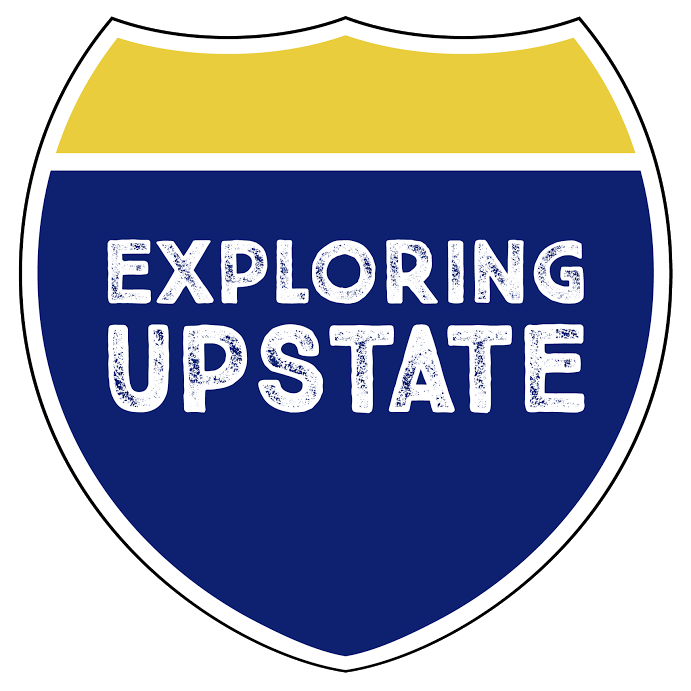 They’ve got the road sign Exploring Upstate logo with an Upstate map background. And, if I do say so myself, they’re kinda slick. 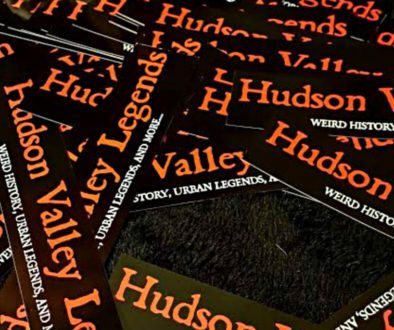 Hit the button to send $5.00 through PayPal, and a sticker will magically appear in your mailbox!! CLICK HERE TO GET A STICKER! Here’s Your Chance: Ask Me Stuff!